Brendan Nyhan teaches at Dartmouth and is a contributor to The Upshot at The New York Times. 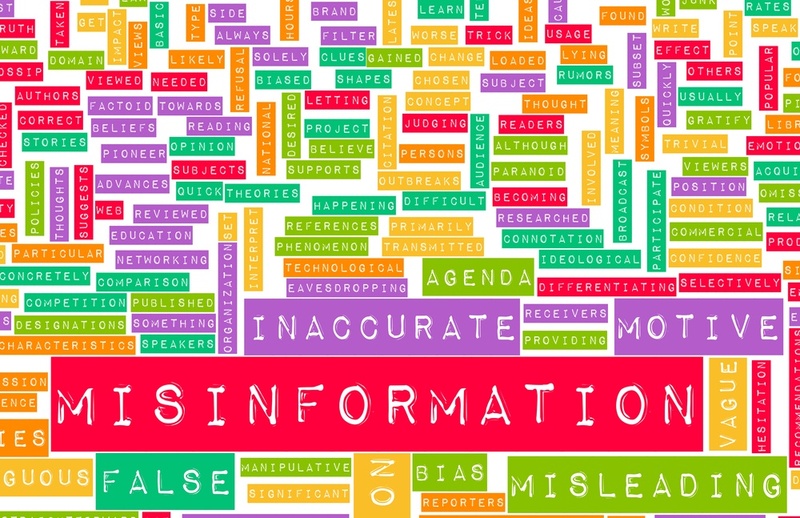 He joined The Communications Network to discuss his recent research into false information: how it takes hold and why it persists. A lightly edited transcript follows. Let’s start with a broader picture Brendan. Why are people fooled by false information? What makes them susceptible to that? There’s a couple of big problems when it comes to politics, but I think the kinds of problems I’m describing actually do extend farther beyond politics. The first problem is that when it comes to things like politics the incentives for us to have accurate beliefs are actually pretty weak. You have a much stronger incentive for instance to buy a reliable car than you do to know the correct information about say an initiative you’re voting, or the presidential candidate you’re supporting, or the issue that you’re telling people your opinion about. So the accuracy motivations for us in politics are quite weak. That’s fine. That’s normal. Democracy has always been that way. People have better things to do most of the time and we all have lives. But it is something we have to contend with because it makes people more susceptible to false information. There just aren’t strong incentives to go out and get correct information. That’s the first problem. The second is we have in a lot of cases at least when it comes to controversial issues strong beliefs. We have strong preferences about the right thing to do or the side that is right in a given debate. What decades of research have shown is that those beliefs, those preferences about politics or issues influence how we process information. So they make us more likely to think information we get is true if it confirms our predispositions and less likely to think it’s true if it contradicts our preconceptions. We shouldn’t just assume that facts and evidence are the best or the most effective approach to informing people or changing their behavior. In your work, particularly in healthcare reform, for those of us who have followed the debate, there are a lot of myths out there. Let’s talk about some of those myths and what are some ways that you would advice communicators and others who are confronting those strongly held beliefs. What’s the best way to have an informed debate and conversation about that? Well it’s challenging when it comes to an issue like healthcare reform because it’s already so politicized. Much of my research has come to some fairly depressing conclusions about the difficulty of changing people’s minds when it comes to those kinds of issues. It’s very hard. There may be better and worse ways to approach it though. Some ideas we’ve offered, my coauthor Jason Reifler and I based on our research are for instance to use graphics when possible. Sometimes that’s more effective to conveying evidence than text. There’s also psychological research that suggest that repeating false information can have a reinforcing effect on the misperception. So sometimes people want to say this is the claim and it’s not true and they end up actually reinforcing the claim they’re trying to debunk. In a lot of cases putting the emphasis on the truth is going to be more accurate than directly repeating and reinforcing the false claim. The bigger picture problem here if we can just zoom back out away from exactly how you communicate that information is what happened to healthcare reform in the first place. Now it’s important to be clear that healthcare reform is a huge issue. We should have a political debate about it. The problem is that that political debate has extended from a partisan and ideological divide over opinions to a partisan and ideological divide over facts. Once that happens it’s very difficult to undue, it’s very difficult to have a debate based on a shared set of facts. Are there examples you’ve seen of debates that have turned that corner and taken it away from a conversation about what facts are valid or not valid and got it back to the issues? It’s a tough question of course because the point at which the debate shifts is the point where it becomes invisible to us. The reason these debates are so salient is because precisely because they’re so controversial. Once the consensus is strong, they tend to drop off the radar. But with that said maybe a good example might be the debate over whether smoking causes cancer. It’s taken decades but the expert scientific consensus on that issue is now reflected in public beliefs and there’s virtually no contestation of that claim, which wasn’t true for a long time. So it is possible but that’s a very extreme case. Many people had personal contact with people who were smokers who had health problems. The scientific evidence was unusually strong and visible relative to other kinds of debates. It’s not clear that’s replicable on a policy issue like healthcare reform more generally, but at least it suggests that it isn’t impossible to have that kind of a change. One of the tools that we’ve seen in the last 10 years or so to help with the public debate is fact checking by newspapers and other media outlets. What’s your research shown you about the value of fact checking by newspapers? What works and doesn’t work? Yeah, fact checking is an incredibly interesting change in how journalism is done in this country. For a long time the mainstream media in this country has shied away from arbitrating debates over matters of fact, which is it’s the classic he said she said approach to journalism. Fact checking has rejected that and said journalists should try to arbitrate these competing claims. My coauthor and I tried to evaluate whether fact checking was effective in changing people’s minds. What we found was that at least for controversial issues it can sometimes be ineffective or even counterproductive. Among the people who were most predisposed to believe in a misperception, which is typically the group we’re most concerned about in the first place. That could be liberals believing something negative about President Bush or conservatives believing that there were no weapons of mass destruction in Iraq for instance. We shouldn’t overstate the effectiveness of fact checking for members of the public. For the reasons we talked about before it’s hard to change people’s minds when they want to hold a given belief. But I don’t think fact checking is without purpose. In particular I think it provides an important check on political elites who don’t receive very strong negative feedback or repercussions when they make false or misleading statements. That’s something that we’ve shown in research as well when we actually made the threat from fact checking more salient to a group of say legislators, we found they were less likely to have the accuracy of their statements questioned. What tools would you recommend newspapers and other media outlets use besides fact checking columns? What should they be looking at in addition to that? I tend to think that fact checking shouldn’t be reserved for specialized columns and websites. If fact checking is an important part of the kind of journalism that a media organization wants to practice, then it should be integrated into the day to day function of the newspaper or TV station or whatever it is. Sometimes there’s this outsourcing of fact checking to one specific column or to outside groups and there’s a risk to that, is used as an excuse to not fact check in the day to day reporting, which is of course mostly political coverage. I think that the most important thing as far as accountability is to have fact checking built into the rhythms of daily journalism. Now on deadline not every journalist can fact check every single statement they hear. But I do think media organizations should take their obligations to asses the accuracy of the claims that they publish seriously and to avoid the kinds of he said she said coverage that can be so pathological. Let’s talk about balance in media reporting. You’ve written about what you call false balance and this practice of reporters that were always seeking out an opposing point of view, even when sometimes the facts may not support it. How did this practice came about, why do you think it continues, and what can we do to change it? The development of the norm of objectivity is something that took place in approximately the early 20th century in this country and it coincided with favorable economics for newspapers. James Hamilton at Stanford University who is one of my advisors from graduate school found that when the economies of scale were strong for having one big printing press in a town instead of multiple competing newspapers the people who owned the newspapers needed an approach that would allow them to attract subscribes with different political points of view. Objectivity is a way to do that. It’s a way to avoid alienating half of your readers all the time, which is of course what more partisan sources of approaches will tend to do. There’s a strong economic rationale for that approach that’s helped maintain it and has become part of the ethos of professional journalism. The problem is sometimes laudable neutrality over opinions turns into neutrality over facts. That can resort of cartoonish extremes in some cases as reporters try to avoid taking a stand on almost anything. I think there’s been something of a reaction to that practice within journalism because it had become so cartoonish and in some cases the evidence on one side of debate was so strong relative to other that to cover the debate in a balanced fashion was itself misleading. What would it take to change that? The economics of the business have to be different? Do we need new media outlets? I think that the changing economics of media have started to facilitate this already. The kind of classic he said she said journalism that I’m describing thrived at a point when there were a few competing outlets and you were literally telling readers what happened and they couldn’t get that information from any other places. But the kinds of commodity news that used to be the bread and butter of a lot of outlets are easily accessible from almost anywhere now to people with different technology, and so news organizations are trying to differentiate themselves in various ways. They’re under more market pressure to differentiate. I think that has led them to explore different kinds of voices and reporting styles including more of an emphasis on facts and data. That’s not universal of course but it’s becoming more widely practiced. Similarly actually there are more explicitly ideological and partisan outlets out there, which can have their own pathologies, but it does mean they’re less hung up on being balanced. An important source of news for many people now are social networks. You’ve looked at the influence that social networks can have on people’s behavior. I think in particular of an article you wrote about the public debate about vaccination. Can you tell us what you learned about that and what lessons that offers for health communicators in particular? There’s a lot of interest in the role of social networks in health. There’s at least evidence that’s consistent with the idea that the people who were connected to influence are health beliefs and practices. That’s harder to show in the most rigorous scientific fashion because of course we can’t run or at least it’s very difficult to run scientific studies where we decide who you’re going to be friends with or who you’re going to be related to. But the evidence we see suggests that who we talk to about health matters and who we’re friends with affects our health in some ways. Including in the study I did is related to our beliefs about flu shots which is a kind of vaccination and one that’s not nearly as universal as it should be according to public health community. Speaking of vaccinations there’s been tremendous debate in recent years about autism and the effects of vaccination on autism. When I was looking at your articles on this topic this was another instance where you talked about false balance. 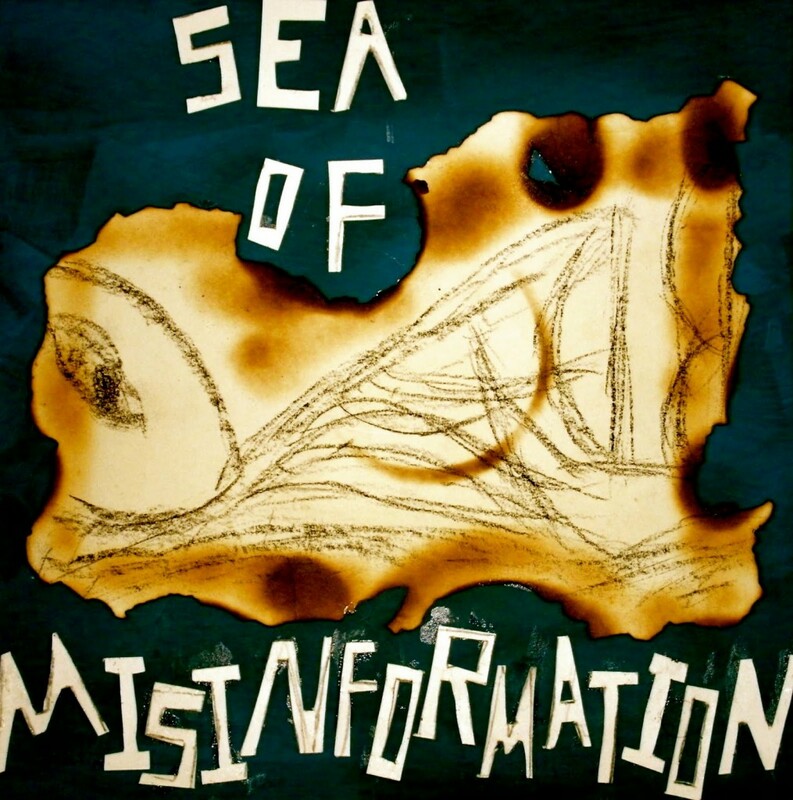 What lessons does it offer for people about the persistence of false information? The childhood vaccines’ issue and the myth that vaccines cause autism is one of the most disturbing examples of misinformation in recent years, and one with potentially horrifying consequences for the health and safety of kids in this country. It starts with a fully discredited article that claimed to link the measles, mumps, and rubella vaccine to autism which set off a cascade of misinformation as that got more and more attention and scared people, in particular in the UK away from vaccinating. In this country we’ve been lucky enough to not see the more damaging kind of declines in vaccination that they saw in Britain, but the threat remains because that misinformation is out there. It’s been debunked by numerous studies and experts. The person who was behind the study was stripped of his medical license, and yet, the misinformation persists, which shows how these things once are out there are very difficult to contain. Many parents report of having hearth of this myth and approximately a quarter of parents say that they believe it’s true, which is a real threat to public health because for childhood vaccinations to work we need near universal compliance in some cases. If varies by disease but that’s a potentially significant threat. So in the study with several coauthors I tested whether the language the Center for Disease Controls uses on their own website to challenge this myth about autism is effective at reducing parents’ concerns about the supposedly dangers of vaccinate, which are actually quite safe. What we found was pretty disturbing I think as far as how difficult again it is to correct misinformation. The parents in our study, it was a nationally represented group of parents with children living at home, and when we showed them this corrective information debunking the autism myth, it did have the effect of reducing their belief that vaccines cause autism relative to a control group. So it was effective in changing their minds about scientific matter in question, which is good. That’s encouraging. So it seems to have provoked them into counter arguing not the evidence itself but their attitude or belief toward vaccines, thinking about concerns they might have about vaccines or objections they have. So why do you think that’s so? You’ve presented the scientific evidence, you’ve had a non expectant reaction. Did you dig deeper into why they had that reaction and what might be influencing their thinking? It’s very difficult to look into people’s minds on something like this. It’s one of the great challenges of social science research. We can’t precisely identify why people do what they do when we conduct a study. But we can try to make an inference based on the data we do have and the theory that we’re drawing on. The process of bringing those ideas to mind they may end up coming to believe more strongly in these concerns or objections they have to vaccines than they otherwise would have. Now that’s only a theory. That’s an interpretation, but we think it’s one that’s at least consistent with what we know. So as you talk it almost sounds as if they’re embarrassed to be found in a place where they might appear to be ignorant and then their reaction is to almost double down on their position. That’s right. I should say by the way that this is a deeply human reaction, one that you and I and everyone who listens to this will have on a regular basis when we’re challenged, when our beliefs are challenged, or our point of view is challenged. It’s a feature of human psychology. We don’t like to be told that we’re wrong and we try to defend our existing beliefs. That’s normal and it’s not something that’s particular to the people who are misinformed on one or the other issue. It really is a deep feature of human psychology, and I should say it’s normal. If we changed our mind every time we heard a counterargument we would never be able to hold an opinion for more than a few minutes. What’s problematic is when our factual beliefs become driven by our preferences about what we want to believe versus what the evidence actually says. Have you seen examples in your research of what can persuade people eventually to move away from that position where they might have initially resist the facts? Are there techniques, or methods, or case studies you’ve seen that might be effective? We have specific examples of how you might present information to people. But as I suggested earlier, the point at which these controversies become politicized, matters of dispute, is the one where everything gets way harder. So I think a better way to think about it is how can elites and institutions promote better debates and a stronger reliance on evidence in public debate. I think there’s too much blaming of the public for what are very normal sorts of reactions to what they’re hearing and not enough scrutiny of the elites for misinforming them in the first place. There are a few negative reputational consequences for misleading people about these debates, and the institutions, in particular of journalism haven’t done a great job of presenting that information in an accurate fashion. Let me give you an example to try to make this a little more concrete. A lot of the coverage about healthcare reform it is framed as a matter of democrats say, X and republicans say why, which promotes the kind of tribal thinking that’s going to make it very hard to change peoples’ minds about matters of fact. A better approach in an article I like very much was published on the ABC news website and said, “Doctors and healthcare experts agree that there are no death panels.” It specifically quoted a republican healthcare expert who had, who might have more credibility with people who didn’t like Obamacare saying that while she didn’t agree with the President’s plan there wasn’t a death panel. I think that kind of an approach is much better example of how elites and institutions can communicate with the public in a way that hopefully is more informative. When [those] labels starts getting attached to various sides of the debate, it can become very difficult to have the evidence speak clearly to people because it gets wrapped up in matters of identity and things that have nothing to do with fact but will often cloud people’s judgment. When you look at examples of where elites or institutions have a made a difference, you’ve talked about tobacco control and how it took many years but public attitudes did change and people did accept the link between tobacco and cancer. Are there institutions or elites who stand out who are always persuasive, or does it depend on the issue? I think it depends on the issue. In a lot of cases these debates, particularly in recent years would become politically more polarized have mapped to partisan or ideological lines. But that’s not necessarily the case. Sometimes they map to religious lines or cultural or social lines. But the more general problem is when people’s identity starts being wrapped up in what they believe and it starts becoming a matter of as a democrat or as a republican or as someone from the north or someone from the south, or as a member from this religion or that religion I should believe X. When those labels starts getting attached to various sides of the debate, it can become very difficult to have the evidence speak clearly to people because it gets wrapped up in matters of identity and things that have nothing to do with fact but will often cloud people’s judgment. As we wrap up I’d like to get your advice about what communicators might do in their day to day work to be persuasive? You recently wrote a story for the Columbia Journalism Review laying out three practical tips for how political scientists and other social scientists could make a difference in public debates. I think your advice would be helpful to anyone. Could you talk a little bit about that? What I was writing about is how social scientists could contribute to public debate, but as you said these maybe true more generally. One is there’s a particular point at which social scientists can often more effectively intervene in a public debate. It’s often, that’s true of any communicator and that’s when the point that they’re trying to make is most relevant to some larger news event or issue that’s topical. So finding those points of leverage can be powerful, in particular when it comes to misinformation of course tailoring this information more quickly before it can disseminate, before it can spread and metastases it’s going to be extremely important. Then presenting information in a compelling manner, not in a misleading manner for instance using graphics instead of text. In one of my studies we used graphical representation showing how pronounced the warming trend was in global temperatures across a series of different measurement sources to just show that all of these sources were registering the exact same trend in global warming. That was much more compelling to people in convincing them about global warming than just describing that trend in textual terms. So in some cases getting down to the underlying data and showing it to people graphically is going to be an effective strategy. Before we wrap up is there anything else you’d like to say Brendan, main points you’d like to make that we haven’t addressed? Sure. Well, the last thing I’ll say is just that I think a theme that runs through a lot of my research is that we shouldn’t just assume that facts and evidence are the best or the most effective approach to informing people or changing their behavior. That’s an assumption that spans a variety of fields from health to education to politics and journalism. In all of those cases people are increasingly confronting the ways that just getting people information or providing evidence to them may actually not be effective. What we need to do is look empirically and test what messages and approaches will be more effective in helping feel far more accurate to make better judgments. That’s something that I think some of the organizations that your listeners work for may be able to contribute to. To listen to or download the audio version of our SmartCast interview, click here.